As a medieval fortress, Berkeley Castle is overrun with history and can be exclusively yours. From roaring fires and twinkling lights in winter to lily ponds and beautiful terraces in the summer, this gorgeous venue suits any season. Set on the riverside surrounded by wonderful botanical garden, you can host your entire wedding here - be it a civil or church ceremony - with the option to use their private chapel or civil licensed rooms. This fabulous 5* venue in Anglesey just proves that a princess wedding doesn't always have to come with a high price tag. As a French inspired chateau, this venue is exclusive use with the ability to accomodate perfectly for both intimate weddings and larger scale ones too. Set within forestland, this castle truly feels like a fairytale. With a fully licensed ballroom for civil ceremonies, it boasts a whopping 75ft aisle for you to really make an entrance. Accomodating to large parties, there are also 15 bedrooms on site for you and your bridal party to stay in. As a unique medieval setting in Devon, Dartington Hall and it's 1200 acre estate is the perfect location to really wow your guests. Plus with the venue accomodating up to 300 of your guests for dinner and 50 bedrooms on site, you can really plan your dream bash. A gorgeous Baronial Mansion, this lovely venue actually used to belong to the family of four-time Prime Minister William Gladstone. Having recently undergone a multi-million pound rennovation, it is one of Scotland's most lavish modern castles. Nestled in a village in the Essex countryside, Gosfield Hall was formely a royal residence to Queen Charlotte, who's oak panelled gallery with 120ft long aisle stands as her legacy. With the stunning ballrooms offering the opportunity to wine and dine 116 of your guests, this is fit for a right royal shindig. Tucked away in an extensive private estate in Bristol, this fabulous castle features an ancient walled kitchen garden and immaculately landscaped grounds. 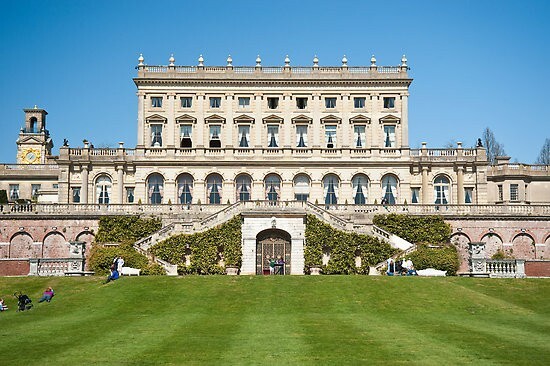 As a venue steeped in history and made infamous for it's parties, Cliveden House had numerous notable guests in it's time, including Winston Churchill, President Roosevelt and Charlie Chaplin along with lots of royalty too. Once described as one of the finest colonnaded mansions in the country, Wynyard Hall is the epitome of elegance. With opulent state rooms for welcome drinks and the wedding breakfast, the hall also has a charming chapel on site too. Looking for a princess palace to call yours for the day? Explore castle wedding venues here.